Since buying my 2014 Camaro last April, I have been wanting to add some stripes of some kind to break up all the red on the car. I finally decided on a theme and got it done. 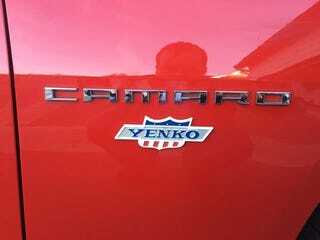 I decided to Yenko-fy my Camaro with 1969 inspired stripes and adding the actual badges on the car. The hood is pretty much a copy of the 69 style while the sides were taken from a Yenko Prototype from 2010 that never turned into any special run of cars. Next mod will more than likely be wheels now, and finally get the Z/28 front splitter on and off the floor of the garage. 2019 Salem Roadster Show - Lots of Pics!